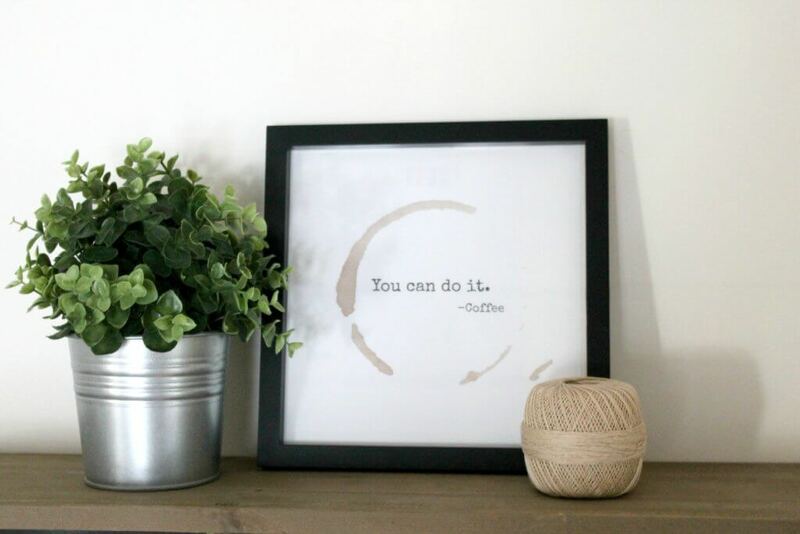 This DIY coffee bar pretty much sums up all that is good and true in this world. 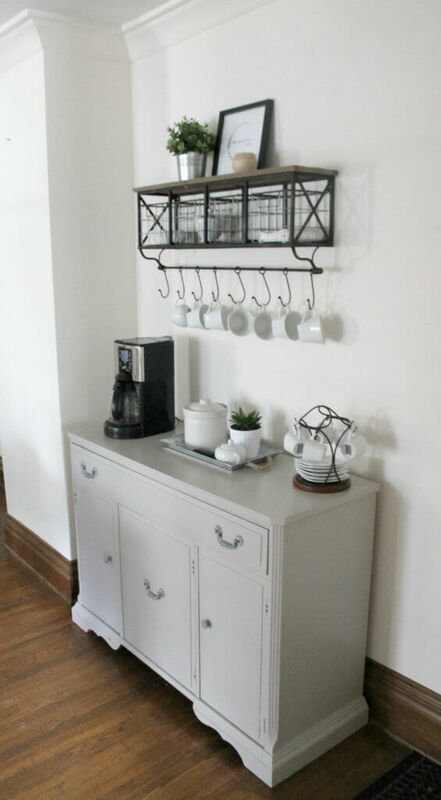 The gorgeous antique buffet, my obsession with the perfect shade of gray paint, and the fact that this is all a vehicle to fuel my caffeine addiction–does one need anything more in this life? Possibly the best part of moving to a house with a formal dining room means room for a DIY coffee bar. There was no room at all in our other house for anything like this, so as soon as I knew we were getting this house, the search began for the perfect sideboard. Imagine my shock when my sister-in-law surprised me with this antique piece for my birthday. Old furniture makes the best gift, does it not? I painted it in my new obsession, Mindful Gray by Sherwin Williams, and it was good to go. Have you ever seen such beautiful hardware? And. That. Shelf. 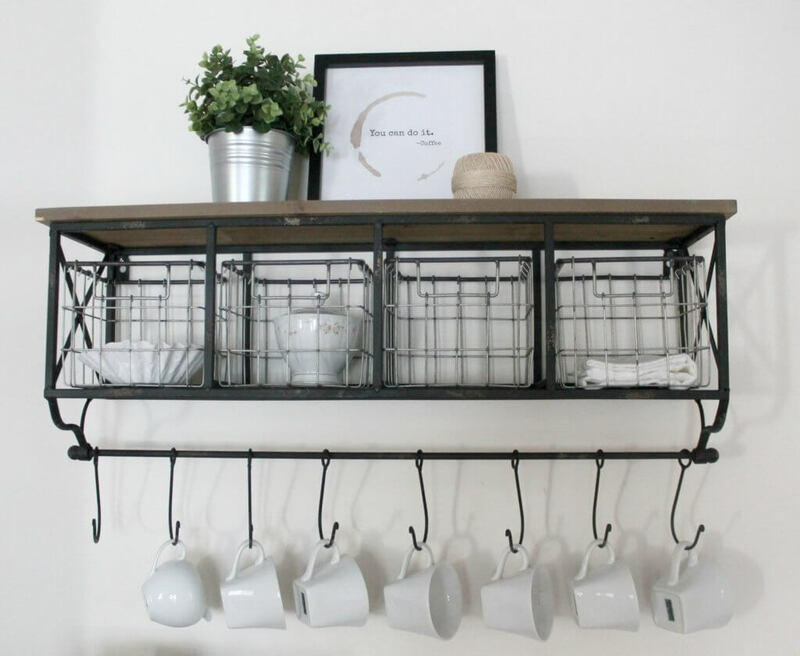 It seems like everyone has one over their DIY coffee bars on Pinterest and it was kind of pricey (two of my biggest turn-offs for decorating) but oh, how I love it so. Luckily, Hobby Lobby runs sales, and with the help of a gift card, my dream came true. Another plant, a coffee canister and sugar dish and we’re in business. So there we have it. 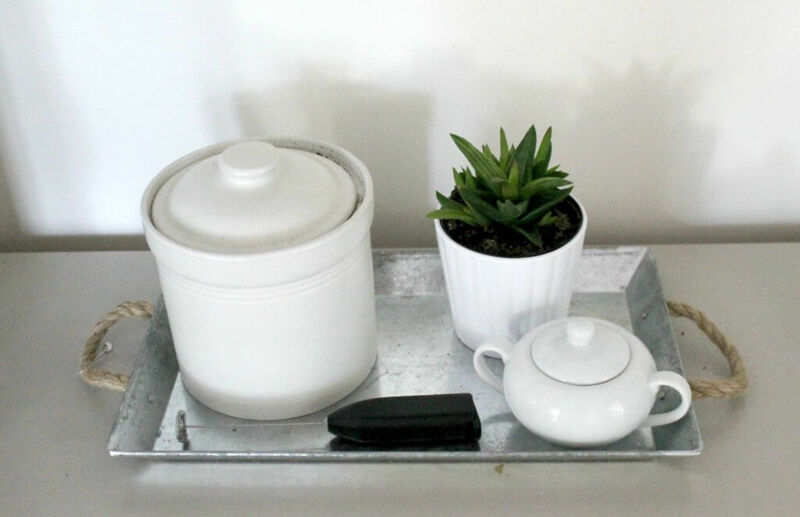 My DIY coffee station–the very first pit stop in the morning when I wake up. I just absolutely love it. 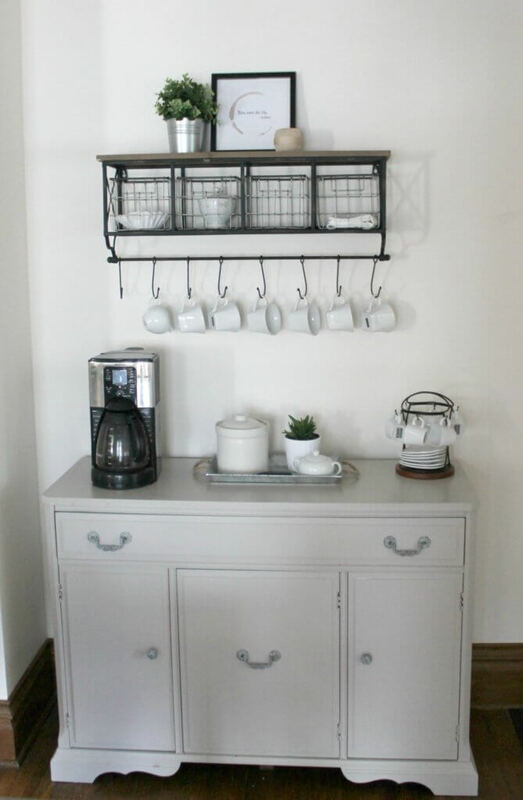 Do you guys have a coffee station in your house? I’d love to see it!